The nascent cannabis sector is alive and well in California. While many other California counties have shut the door on the legal cannabis market, Santa Barbara County has ensured both consumers and entrepreneurs can profit from cultivation and trade –– and that remains a huge boon to the local economy, taxpayers, and residents. Out of the 6,481 (temporary) cannabis cultivation licenses in the State of California, 2,075 of them are in Santa Barbara County, accounting for nearly one third (as of February 7, 2019). The potential for job creation and positive economic impact is already being felt. That’s in large part thanks to Santa Barbara County’s agricultural capabilities and history, its innovative and model rules, and its more flexible approach to welcoming farmers and entrepreneurs who are now entering this legal market. This approach will continue to benefit consumers not just here, but throughout the state. The same applies to the hundreds of local farmers who have already established themselves as competitive players in the state cannabis space. 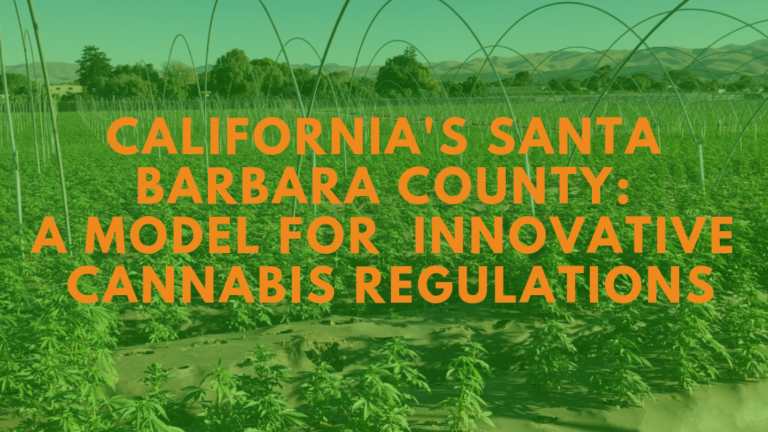 That’s why we applaud the market-friendly environment so far cultivated in Santa Barbara County, and it should continue to be a model for other jurisdictions currently updating their rules. The primary goal of cannabis regulations in a state where it is legal, such as California, should be to create smart cannabis policy, defined as a model of regulation that encourages markets, competition, safety, and the eradication of the black market. That’s how consumers and residents will reap the most benefits. There will bad apples, no doubt. But existing regulations and rules, properly enforced, are the best method for ensuring compliance. That’s especially important when discussing nuisance concerns, laws on odor, size of cannabis farms, and keeping communities safe. Ultimately, consumers and residents alike want rules that help propel a legal and competitive market. California’s entrepreneurial spirit is alive and well in the Santa Barbara County’s cannabis space, and lawmakers would be wise to harness and ultimately propel this rather than relegating back to the drawing board. The current rules have drawn significant investment to this county, and the benefits will continue to be dispersed. This is especially true as the Board of Supervisors considers any arbitrary limits on farm size, retail storefronts, and additional nuisance regulations. Let’s continue to offer praise for Santa Barbara’s cannabis regulations that will continue to serve as a model nationwide.